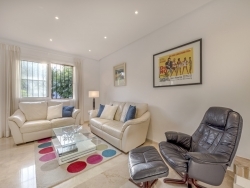 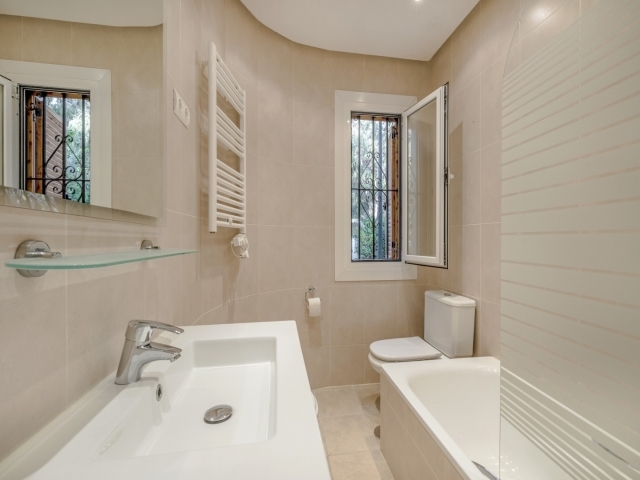 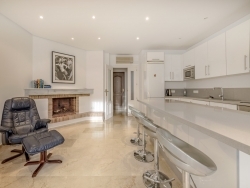 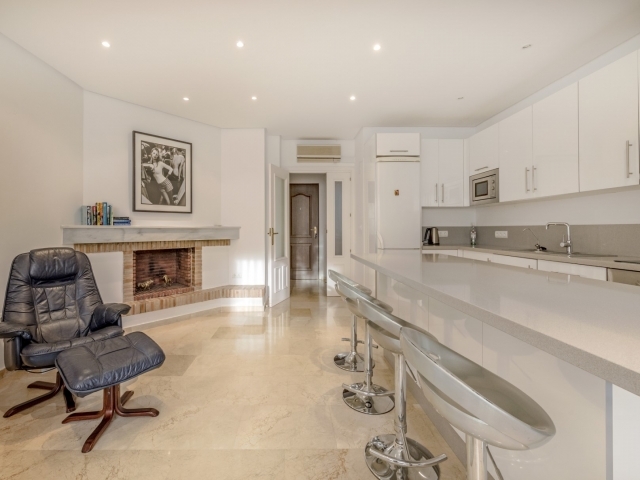 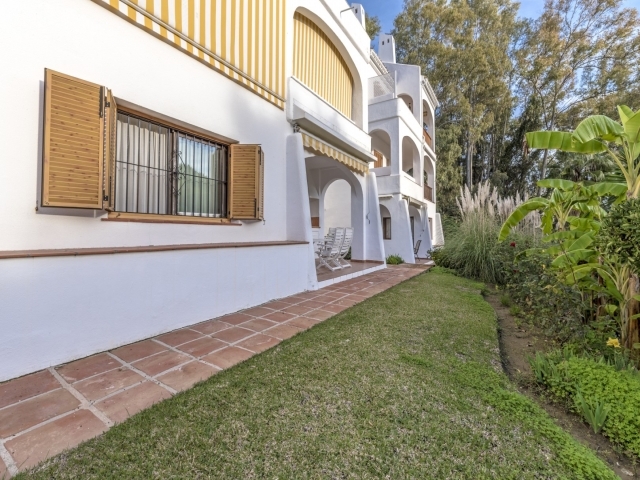 Attractive three bedroom ground floor apartment for sale in a gated complex in the heart of Nueva Andalucia. 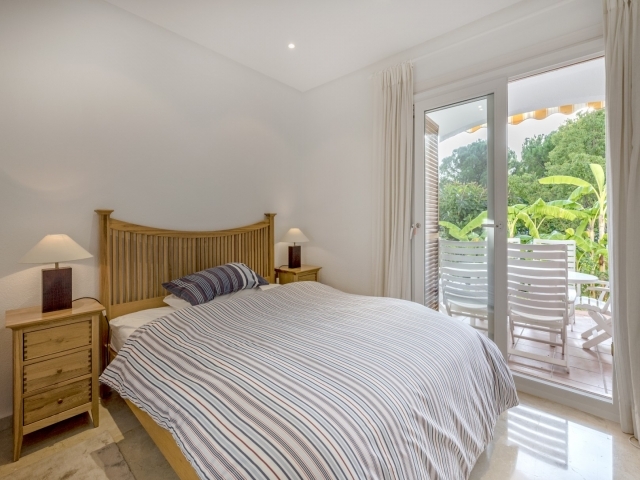 Le Village offers two large swimming pools, a tennis court, indoor pool and gym. 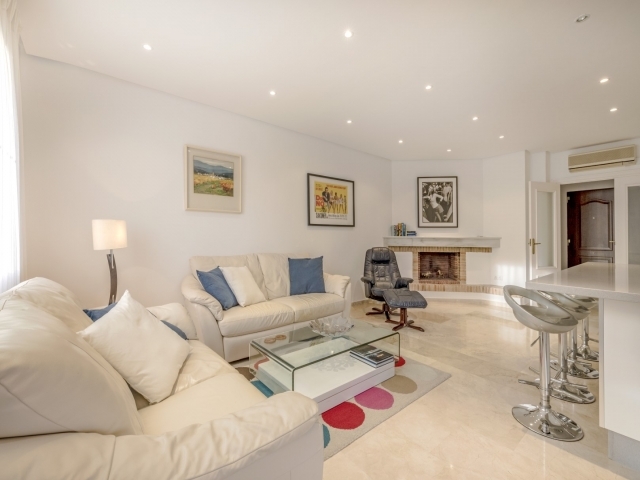 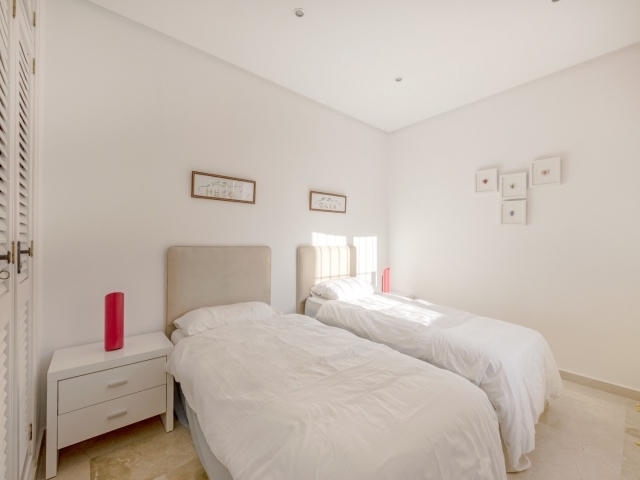 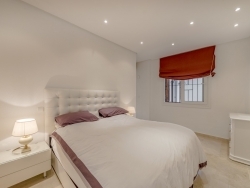 It is situated in picturesque surroundings just a five minute drive to all amenities, including the luxury harbour of Puerto Banus, beautiful beaches and a fabulous range of golf courses. 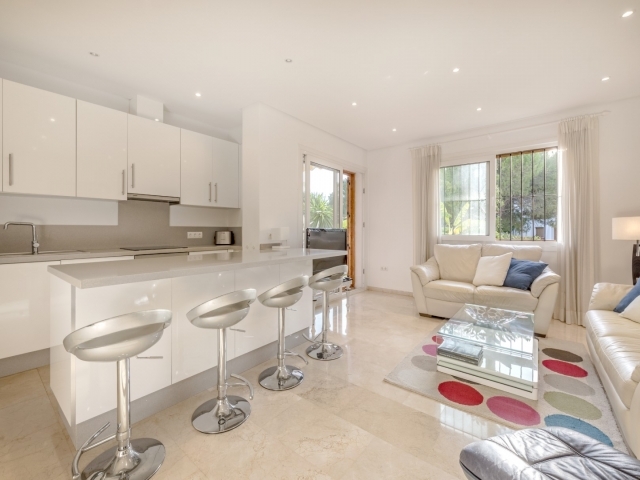 This ground floor unit has been renovated and boasts a west facing terrace which provides a lovely spot for enjoying the afternoon and evening sun. 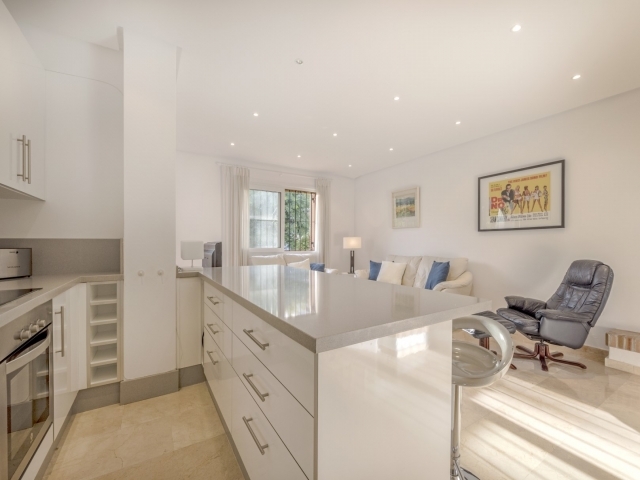 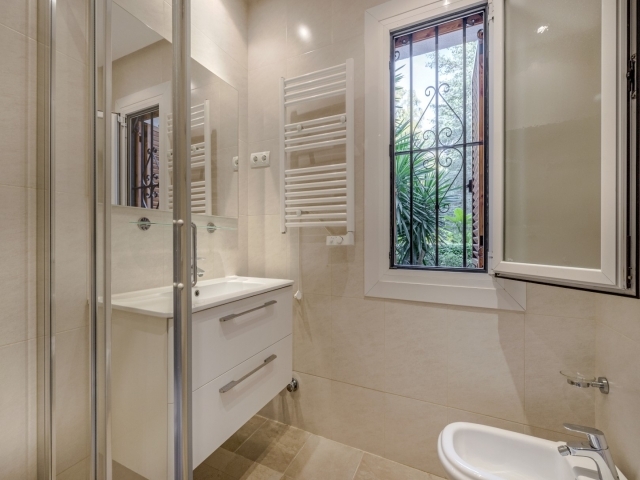 Accommodation comprises a bright open-plan living room and kitchen with breakfast bar, a master bedroom with en-suite bathroom, two further double bedrooms and a family bathroom. 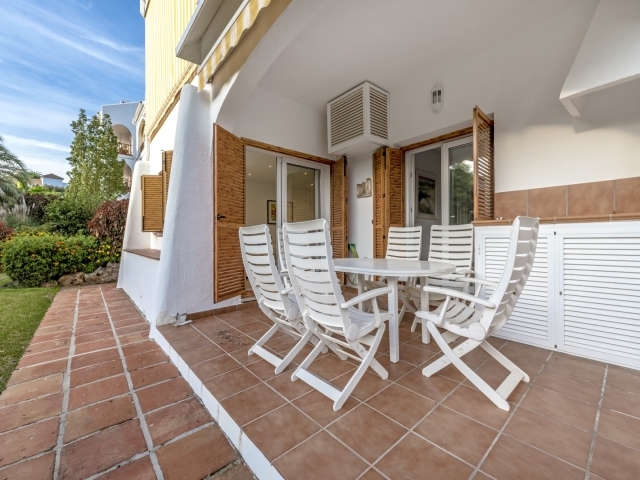 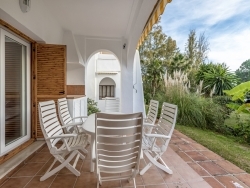 This is a delightful garden apartment in a convenient yet peaceful location, just a ten to fifteen minute drive to Marbella and San Pedro de Alcántara; a great choice for families as a permanent residence or as a holiday home.